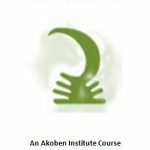 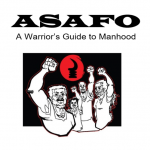 This study guide is designed to accompany the book Asafo: A Warrior’s Guide to Manhood. 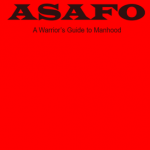 It includes summary statements and questions for each chapter. 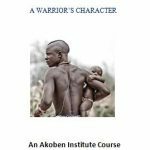 A critically informative lecture to Afrikan youth on developing the Warrior character essential for excellence in life. 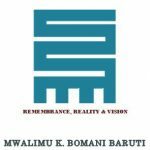 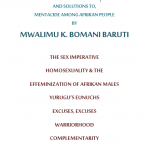 This is a study guide/workbook for Mwalimu K. Bomani Baruti’s book Asafo. 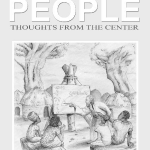 It includes summaries/outlines and questions for each chapter. 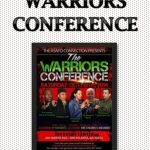 This first Warrior’s Conference was held in Atlanta, GA on October 18, 2014 and featured the words of Irritated Genie, Professor Griff, Sara Suten Seti, Zaza Ali, Mwalimu Baruti, Kalonji Changa, Tahir Rbg and Afuraka Wax. 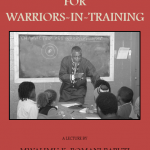 Based on Mwalimu K. Bomani Baruti’s book Message to The Warriors, this DVD course set contains a the lectures from his classes on Nationalism & Enemies; Behavior, Attitude, Appearance & Words; Complement, Preparedness, Action & Accountability and Education, Religion & Rules.